1 or 2 beautiful custom designs of your space (up to 50% of your site). Access to a personal expert landscape designer. A base plan showing all the existing conditions of your site. Custom Draft Design Plan(s) for you to review and comment. 1 phone call or web meeting with your landscape designer to discuss your Draft Plan(s). Designer Notes explaining all elements, materials, and general plant suggestions. A personalized image board to visualize the ideas for your space curated by your designer. Up to 5 renderings that illustrate the proposed design. 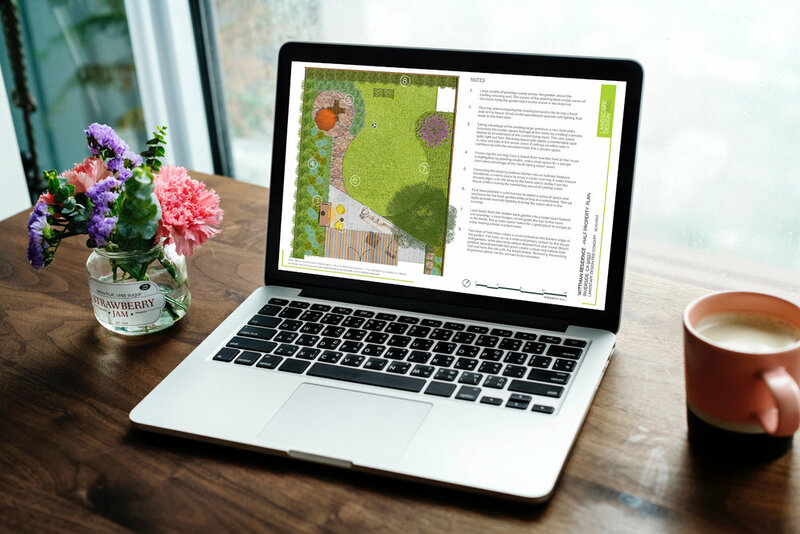 A final professional landscape design concept of your space incorporating all of your comments in a convenient downloadable and printable PDF 11x17 format. If you would like to receive two alternate design options for you space choose 2 designs below. 1 or 2 beautiful custom designs of your Full Property (up to 2 acres). Up to 6 renderings that illustrate the proposed design.